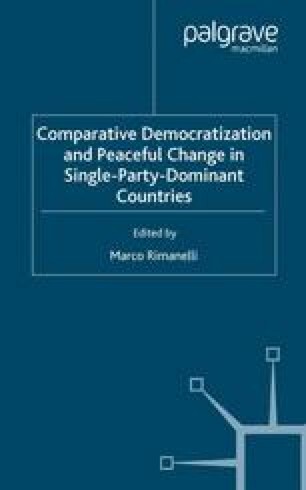 Is there a relationship between autocratic, single individual governments and single or dominant party rule? A valid question. Often strong and dictatorial leaders, such as Juan Peron in Argentina, created a party (such as the Peronist Party) with a democratic façade and trappings to legalize their government. Often the party, as in the case of Argentina, continues after the death of the autocrat. In the case of democratic France a strong and charismatic leader originated a strong party still identified as Gaullist. On the other hand, Mexico, a country with a long period of ruthless dictators (caudillos), which finally was able to establish a dominant party, made sure that the party was the ultimate power and that no single individual would be supreme over it. Therefore there are various models that have emerged mainly because of different historical developments—different histories of nations.